Ronnie Moran - Vocal Hero - LFChistory - Stats galore for Liverpool FC! Ronnie Moran joined Liverpool F.C. in 1949, and eventually became club captain and an instrumental member of the Bill Shankly team that hauled Liverpool out of the second division and onto the first rungs of the ladder of success. He was pivotal in the formation of the famous boot room, and managed the club through a difficult period between the appointments of Kenny Dalglish and Graeme Souness. He is the man described by Tommy Smith as being able to "moan for England". Ronnie Moran has seen it all, done it all, and bought the "t-shirt". innocently answered the phone at home in the early spring of 1991. "It was Kenny Dalglish. Me and the wife were just on our way out and I asked him what he wanted. 'I've packed in' he said 'I've had enough'. I thought he was joking, as he was a great practical joker and I told him to stop messing around. He must have filled up because he put the phone down and the line went dead." The next call Moran took was from Liverpool chairman Noel White, who confirmed Dalglish's resignation and promptly offered the freshly vacated manager's job to the scarcely believing assistant. "Of course I accepted, but becoming manager was not something I'd ever envisaged, but then again, neither had Bob nor Joe before me." Bill Shankly's resignation in the summer of 1974 had visited a similar, though even larger shock, on the people of Liverpool. It had been Bob Paisley's calling to follow the great Shankly then and now Ronnie Moran was being asked to step into the shoes of another Liverpool legend, Dalglish. Thus, the inexorable path to the top that had begun with apprenticeship in the austere post war year of 1949 had finally delivered Ronnie Moran to the pinnacle of club football, manager of the league champions. The history books will show a record of ten games played, 4 won and 5 lost during Moran's short lived 'caretaker' reign. It was a curious set of results that saw a 7:1 win at Derby County's Baseball Ground followed a few weeks later by a 5:4 victory over Leeds United at Elland Road. "The win at Derby is still the record away victory for this club" says Moran with obvious and deserved pride. But despite this seven week spell at the summit of Britain's greatest ever club, Ronnie Moran is forever destined to be remembered as a stalwart of the back room staff, the local, or some would say 'vocal', hero of the boot room. Nobody ever saw him as destined to play a lengthy role as manager, and at the age of 57, Moran too felt that he was only holding the fort until a long term appointment was made. "I spoke to the chairman and told him that I couldn't do the job long term. I would only have been cheating them and I told them I wanted to go back to doing what I had been doing in the background." Speculation in the media suggested John Toshack was going to make an emotional return to the club but it was another old boy, Graeme Souness, who was quickly ushered in to take the reigns from Moran. Initially, Souness was to take over at the end of the season but the media got hold of the story and Glasgow Rangers and Liverpool decided between them it was best for Souness to take over straight away. Over forty years earlier, Ronnie Moran as a fresh faced 14 year old, had first joined the club that was to become such a big part of his life. He began his playing career as an apprentice electrician playing 'C' team football. 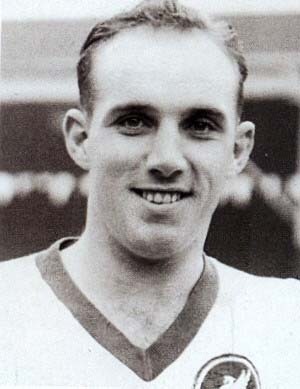 He was offered professional terms by manager Don Welsh in 1952 and quickly established himself as a promising full back. Liverpool though, were relegated to the old second division in 1954 and languished there until the arrival of Bill Shankly in December 1959. Ronnie Moran was club captain for one season, the very season when Shankly arrived at the club. "No disrespect to the previous management but when Shanks came he was like a breath of fresh air. He completely changed the club around and took it to were it is today, renowned all over the world." Moran had suffered with a serious injury and soon found his place in the team under threat from the emerging Gerry Byrne. By the time the side was re-established in the first division the writing for Ronnie Moran the player was firmly on the wall. During the pre-season of 1966-67 Shankly steered him towards a new direction he had barely thought about taking previously. "Shanks called me to one side. I thought, this is it, he's going to tell me another club's come in for me' and he said to me 'Ronnie, how would you like to join the back room staff?'. I went off and discussed it with my wife. We are both from Liverpool and didn't want to leave, and the next day I told Bill, 'yes'." Now a member of the burgeoning boot room, Moran gradually worked his way up the ranks from working with the youngsters, through to first team trainer and then manager. Moran was to become the sergeant major of Melwood, bellowing instructions and keeping any inflating egos firmly in check. "We never really discussed specific roles, I guess Shanks and Bob had seen me shouting and talking a lot when I was playing and liked what they'd seen. They just let me get on with it." The training pattern that had been laid down by Shankly also agreed with Moran. "Previously, we used to run down to Melwood from Anfield, which was about 3 and a half miles, do our training, and run back. Shanks did away with all that. He said 'you don't run on the road in a match so we won't do it in training'. He introduced lots of work with the ball. We played a lot of small sided games where the emphasis was put on simple quick passing. I learnt so much from him and from Joe Fagan about the game and how it should be played." 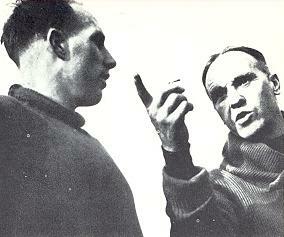 The simplicity of the approach Shankly took to training led to much confusion and disbelief amongst his peers. As the trophies began to roll in, a growing band of onlookers would gather at Melwood to watch and learn. They would all go away muttering about how little Liverpool actually did. "People missed what it was all about. They would just see us do a bit of jogging then go straight into small groups for games of 5-a-sides, or maybe a bit of ball work. They never saw the little things that we were doing, teaching the players when to pass, how to move into space. Sometimes players would be corrected for passing to someone who was marked for instance. I was blessed as a player, I found it easy but some didn't and they had to be taught." The emphasis Shankly put on playing small sided games is legendary. "If he looked at a couple of kids juggling a ball, it wouldn't matter to him which one was better. He would want to see how they played in a game situation. His argument would be that you don't get opportunities to juggle the ball in a match so it was irrelevant. Nowadays, clubs and coaches in this country would always take the kid with the better ball skills. That's the problem we have now. Youngsters are being taught all the fancy ball skills, which is fine, but they're not being taught how to play the game." It's clearly a theme Ronnie Moran is passionate about. Shankly and his coaching staff always drummed into the players the notion that they had to control a game with their heads as well as their feet. "I'm not saying having great ball skills is wrong, of course it's not and all players have to have a certain level of skill, but with Shanks it was not the most important thing. If you watched youngsters playing a game you might spot the one who gives you something extra, a bit of fight or determination for example. Shanks would want to see what the lad could do with his natural footballing brains. Does he know how to pass? Can he tackle? He would be looking to see if that lad had something about him." These were lessons that Moran would take on board and assimilate as his own as the years spent at Melwood grew and grew. "When I was a player I had no real understanding of how teams were built. Then, when I started watching Shanks I began to work it out. If he had a player who lacked a bit of pace but was a really good passer, he would play someone alongside him who could compensate." It was all about balancing out the shortcomings of one player with the strong points of another." After his brief spell as manager, Moran was allowed by new manager Souness to return to his coaching duties. The decline of Liverpool as a European force gathered pace, as first under Souness, and later under Roy Evans the club struggled to find any sort of real consistency on the pitch. Moran does not blame Souness for the decline however, and views many of the changes he made to the club's training routine as positive ones. "We started to get a few bad results and really we all had to share the blame. The buck stops with the management so they say. But also, during my later years at the club, we started to get players in who questioned the way we did things. They wanted us to change the training depending on whatever system the next opposition would be using. Then after games we had lost these players would say things like 'well if we'd done this and if we'd done that...' and I used to say to them 'well if you realised that why didn't you change it out on the pitch?' The problem with a lot of players now though is that they won't take that responsibility, and some of these players were actually captains of this club." "Shanks always preached that we had eleven captains. He wanted to see players think things out and rectify things if they were going wrong. You never got shouted at for trying to change something out on the pitch. You were always taught to work things out for yourself. Mind you if you tried something stupid and it didn't come off we had a saying that we would 'hit you on the head with a big stick from the touchline'. I remember Steve Nicol getting a hat-trick once at Newcastle. Nobody told him where he had to go and what to do, he just worked it out himself. He got the match ball and I told him it was probably the only one he'd ever get ! but nobody told him off for joining in the attack. You see players now going on overlaps because they think they have to even though they've got three players around them and no chance of getting the ball. To be fair, if you look at the really successful teams now, like Manchester United or Chelsea and even Leeds, they do get it right. Look at Denis Irwin the other week at Chelsea. United were getting beaten and were down to 10 men but he pushed up whenever he could, trying to influence the game and help out, yet he knew when to stay back whenever they were under the cosh or when to bolster the midfield." For Moran the lack of quality in the game today stems simply from the fact that we don't, as a rule, teach the right things to our young footballers. "Phil Neal was telling me the other day how he used to know when to go and when not to but players today don't seem to have that nouse. I think all over the country now too much is being put in footballer's brains about what they must and must not do." All of which begs the question of how Bill Shankly would have coped with life amongst today's pampered superstars. Ronnie Moran has no doubts that Shanks would have thrived. "He would have been fine dealing with foreigners and all the big money because he would have just got on with it. He would have got through to them with his enthusiasm for the game. Can you imagine him dealing with the media? He would love being a manager today. They would have to drag him away from the TV cameras." Hmmm, the thought of Shanks dealing with today's media is indeed mind boggling. Ronnie Moran grins at the thought, then begins to tell me about the European night when 40 people crammed into the old boot room and another priceless anecdote unfolds. I think it's fair to say that, for Ronnie Moran, those happy memories far outweigh the painful ones.